One of the great things about working at GSD&M is their devotion to great live music. We have in-house concerts all the time, which is great. Plus we get to design the gig posters. 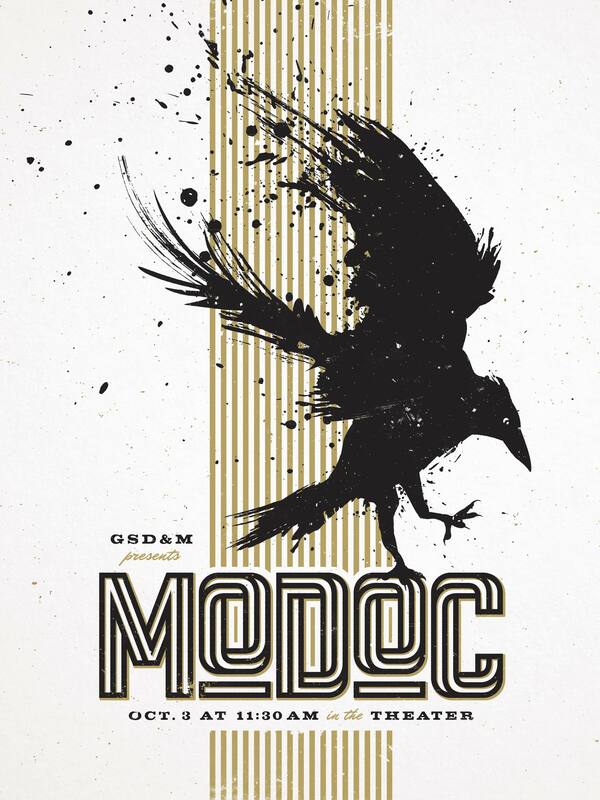 I’d never heard of MODOC before they came to GSD&M, and now they’re a favorite of mine. Ghostland Observatory played an awesomely raucous set at our 2016 SXSW show. They got back together to put on a great show with all the fixins. And when I say “fixins” I mean lasers. The MODOC poster won a Silver Addy award at the Austin Addys. 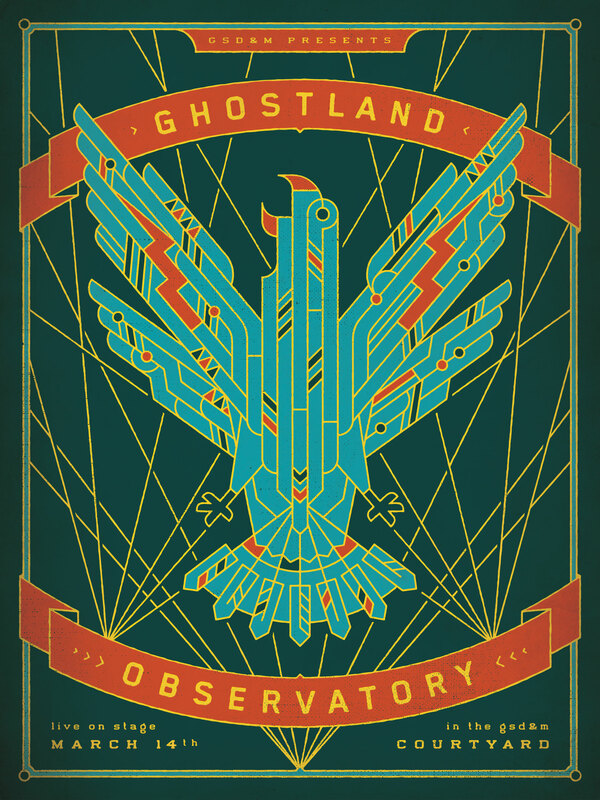 The Ghostland Observatory poster got a Bronze Addy at the District Addys, and was featured in the Graphis 2017 Poster Annual.